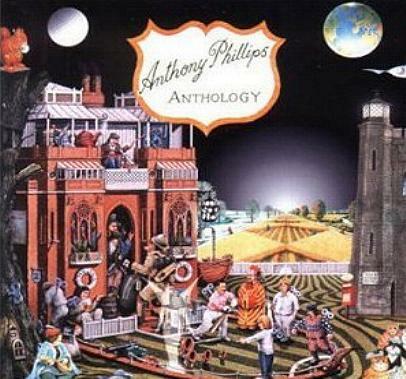 The problem with any collection by an artist as diverse as one-time Genesis guitarist Anthony Phillips is that, depending on the selection of material, the listener may come away with only a partial idea of what the artist is all about. Blueprint has done a fair job in this case, offering about six or seven tracks of his more commercial material, balanced with about ten instrumental cuts, from throughout his career to date. Pop tunes include "The Women Were Watching" from Invisible Men, "Lucy Will" and "Um and Aargh" from Sides, "God If I Saw Her Now" featuring the early crooning of a pre-stadium Phil Collins, and a few other vocal tunes from early albums. Like Eno, Phillips' voice is one people will either love or hate — there's no in-between, sort of an emotional cracking pseudo-falsetto that is neither convincing or compelling — it should be obvious that this writer prefers Phillips' instrumental material, yet there are many who love his singing. Still, the bulk of the material here is a fair sampling of his instrumental work — and some of his brightest gems are on board: "Tregenna Afternoons," "Lights on the Hill," the anthem from "Tarka," and his rock masterpiece "Nightmare" among them. Sadly though, three of his best albums are completely unrepresented: nothing at all from Antiques, Ivory Moon, or Slow Waves Soft Stars. Still, this is a decent enough introduction for anyone new to his material.